As Programming Specialist in our company you will be working on the development of an innovative battery concept. You will be developing, together with a team of scientists, engineers and developers, a battery that operates by means of osmotic gradients. Being the person responsible for software development, and seamless integration with the hardware, you will work on: – the design and building of innovative test set-ups and pilot projects from A to Z; – development of our battery control units You will have a high degree of freedom in duties. In order to connect the different components of the battery – such as power converters, sensors and battery management system with the membrane stacks – many challenges in the field of component selection and own designs and building will arise. Together with researchers of AquaBattery you will elaborate these technical improvements, and set-ups will be tested (partially on-site). Main tasks are in PLC programming languages and embedded software (C/C++/C#). – You have a passion for building amazing things (eg. drones, electronics, domotics, etc.). – Proper design skills or experience in building PCBs. – Experience in system integration is preferred. – Experience with PLCs is preferred. – Work experience is preferred. – You have a hands-on mentality, work hard, and you’re flexible in working hours and duties. – You work independently, take responsibility, and take initiative toward the improvement of the technology. – You collaborate well (internal as well as external). – You like to help others and communicate well with people from different disciplines. – You speak and write proper English and are willing to learn basic Dutch. We offer a competitive salary for a starting IT engineer. The selected candidate is offered a one-year contract, overlooking a permanent employment as team leader. Your work will take place in Leiderdorp, with sometimes visits to our pilot locations. A fulltime position is available, parttime is negotiable. In addition to that, we offer a workplace where you can learn, grow and be yourself. You’ll be working in a team of highly motivated and ambitious team full of people who love technology, who from time to time enjoy a beer or activity in- or outside the office as well. 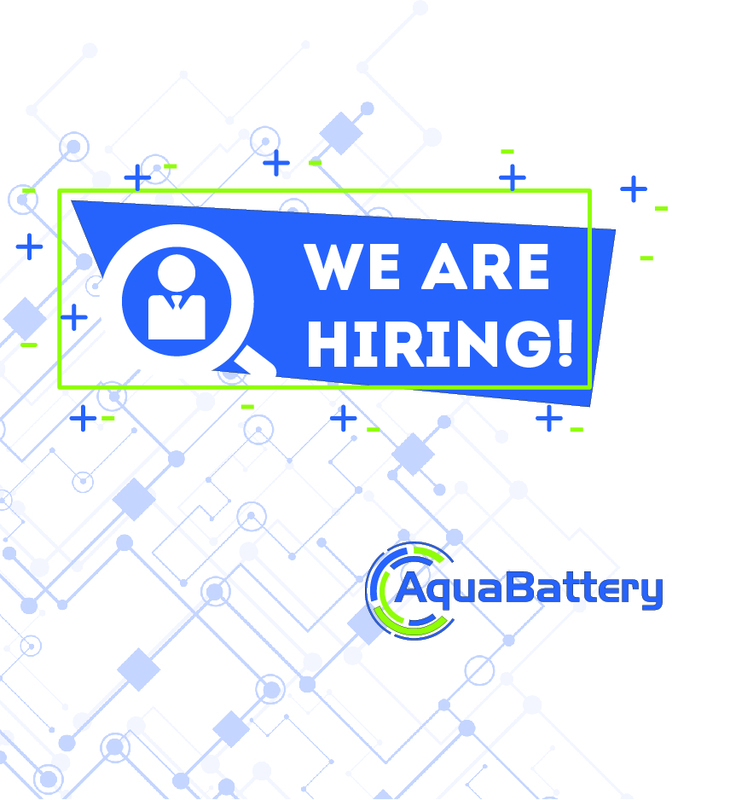 Send your resume and letter of motivation before the 1st of November to David Vermaas (CEO), david.vermaas@aquabattery.nl. For more details regarding the position, give a call to 061431 0197.